Merry Christmas, Happy Holidays, Happy Kwanzaa, Feliz Navidad, and Happy Hanukkah! Cartoon from the talented hand of animator and illustrator R.O. Blechman. Your sweet face heals my heart. 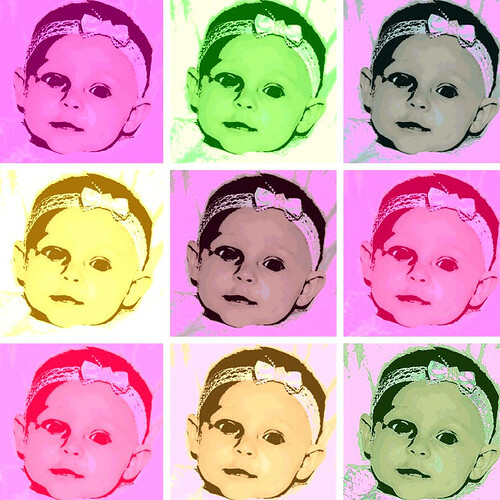 Make your own pop art photo here! People have been drawing on walls since ancient times and today many graffiti artists have crossed over into making a living off their art. Keith Haring was a famous artist who began his career drawing on advertising boards in the subway. His foundation has a fun website for kids (of all ages!) where you can play games (like Hangman) or draw your own graffiti. 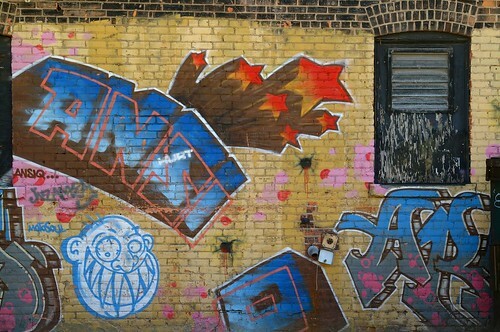 Sticking with the Detroit theme I have going, this week’s WW photo is of some cool graffiti on a wall downtown. See other Wordless Wednesday participants here. This weeks Illustration Friday topic is Contagious. 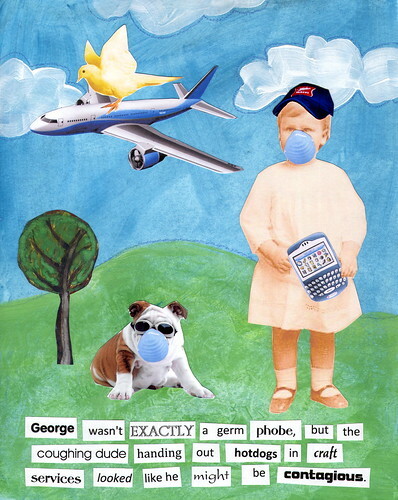 With the whole Swine Flu epidemic in the news so much this past month I couldn’t help but wonder how George was dealing with it. As you can see, he is somewhat concerned. And who can blame him, with his busy schedule he doesn’t have time to get sick!